They live in the shadow of car parks, green areas and empty lots of many neighbourhoods in Galway. They struggle to find food, water and shelter. They are feral cats. Feral cats are not wild animals; they are actually the offspring of domestic cats that were either abandoned or whose owner failed to spay/neuter them. There are no genuine wild cats in Ireland. Often feral cats are very shy and afraid of people because they lack human contact. There are hundreds of thousands of homeless cats in Ireland, due to the number of pets that are un-neutered. Un-spayed female cats often have litter after litter, and may produce up to 80 kittens in a lifetime. Most of those kittens die from hunger, infectious diseases and parasites soon after birth. The ones that survive start breeding after only 5 or 6 months. Within a short time, a cat population of only a handful of cats can multiply to over a hundred. When this type of population growth occurs, feral cats become a problem. There is not enough food to go around, so they starve and suffer from various diseases, which affect them because of their run-down condition. Malnourished mother cats are more prone to illnesses due to the strain put on them by constantly reproducing. Un-neutered tom cats, on the other hand, often get involved in fighting during mating season. Cat AIDS (FIV) as well as feline leukaemia (FeLV) are sexually transmitted and may also spread through bite wounds. Once a cat shows symptoms of these diseases they can't fight off other infections such as pneumonia, enteritis or cat flu. Because feral cats originate as domestic animals, they are not intended to survive in nature on their own. Feral cats have the right to live a long, healthy and safe life in their colonies.They deserve our compassion and protection. 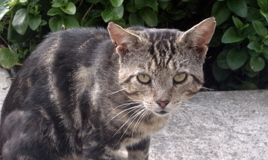 Trap-Neuter-Return is the answer to Ireland's feral cat crisis, and is the most effective and most humane solution in an area overpopulated by feral cats. The cats are humanely trapped and brought to a vet, where they are examined. Sick cats are treated. Cats that are too ill to make a full recovery are humanely euthanised. The vet then neuters, worms and flea treats the remaining healthy cats. By nicking the tip off the left ear they are marked for identification before they return to their colony. Quality of life improves dramatically for the cats. The colony now consists of healthy animals. No more kittens are born. 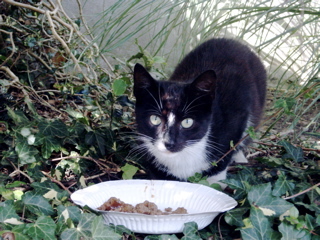 In most neighborhoods people are then happy to look after those cats, providing them with food and shelter. Tamable cats and young kittens are socialized in a foster home until a permanent home can be found, where they can live a happy life as pets. Some feral cats can be re-homed as garden and farm cats.